Every week we take a look at one of our products in a little more depth. This week we’ll start with our sweet stitch markers, that we began selling 10 years ago and are a staple on our website and in our knitting bag. Simply put, a stitch marker is really just a memory device. That’s it. It’s there to help you remember to check your pattern. Perhaps it’s a tricky section, or there needs to be some increase/decreases/yarn overs/beads added/stitch change/start/stitch counts…..to name a few. 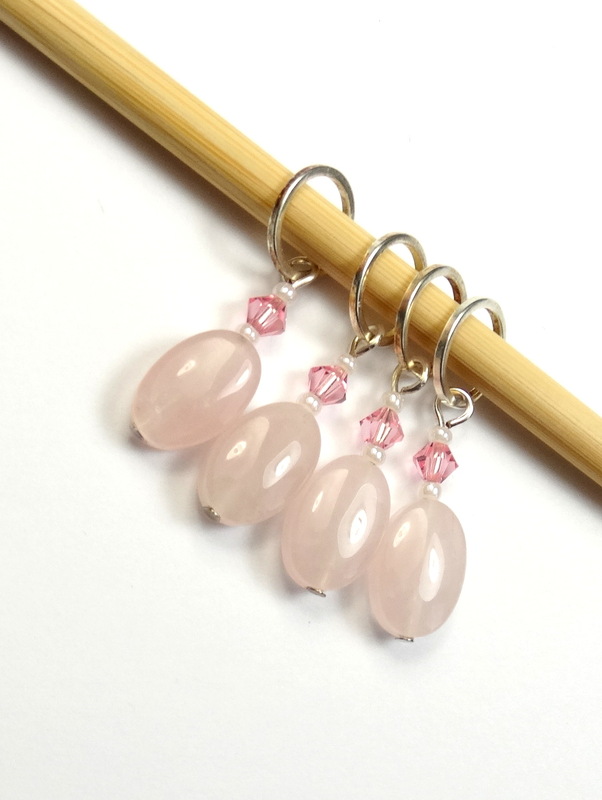 Stitch markers can be placed on the needles or on a specific stitch depending on pattern requirements. When you reach a marker, check you pattern, remove it from the needle (move to the other needle) and knit per pattern. Sometimes they are added on large sections to count stitches (we have special ones available for that). Stitch markers can be used in a variety of ways to aid your knitting projects and we’ll be giving more hints and tips on the blog, Facebook, Twitter and Instagram. Click to follow us. Like to buy our stitch markers? Click here to see our shop.There’s 20% off until 7th August 2016! PreviousOur 20% Summer Sale is extended to 7th August!